This type of camera system may sound like a video game app, but it is hardly anything of the sort. Basic security cameras for NYC Security service can only perform straight filming. In other words, they capture only a region of an area and record it. With Pan-Tilt-Zoom (PTZ) cameras, you can control your professional grade security cameras. These cameras can move in all directions and they are ideal as business security products and home security products. Camera systems provide the best proof of intrusion when there is an attempted break in or even a successful break in. Authorities are able to tell a great deal from the recordings of these cameras. They can be set up for automatic movement with certain computer systems, making this the most versatile and practical security camera system that you can buy. There is a wide range of home and business security products available on the market today. Competition is heavy, but this does not mean that every company out there selling these systems has the qualified personnel to install these systems properly. 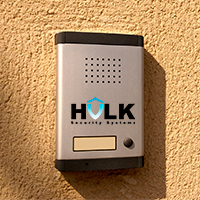 When you use Hulk Security Systems, NYC residents and businesses are getting premium customer service and knowledgeable advice right from the start. PTZ camera security can be part of your entire security system in a matter of days. Retailers should know that this can save you thousands of dollars from theft. Homeowners should know that this is the best way to record any suspicious or criminal activity on your property and give police evidence to work with. Look into better NYC security service today and contact Hulk Security Systems.